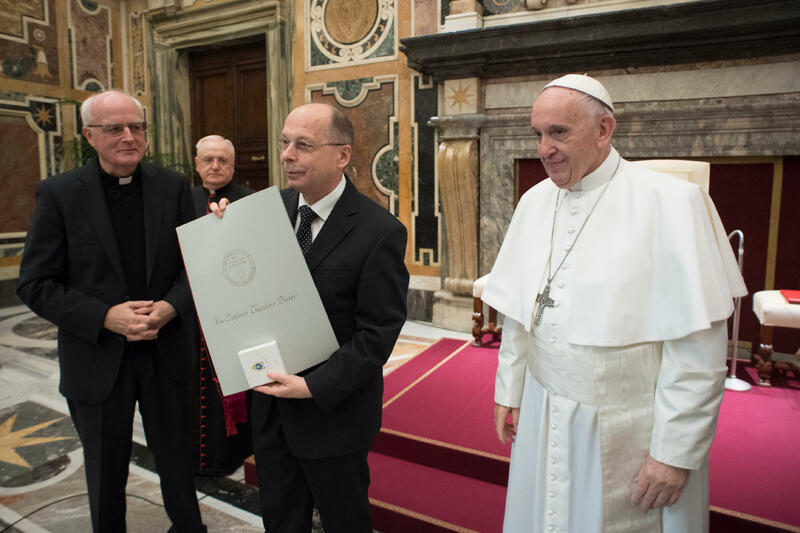 Pope Francis on November 18, 2017, presented the 2017 Ratzinger Prize awards to the three recipients. The presentation took place at an audience in the Clementine Hall of the Vatican Apostolic Palace. The audience included the members of the “Joseph Ratzinger-Benedict XVI Vatican Foundation” for the seventh edition of the awards. The winners this year are: Professor Theodor Dieter, German Lutheran theologian; Professor Karl-Heinz Menke, German theologian and Catholic priest; and Maestro Arvo Pärt, Estonian musical composer and Orthodox Christian. At the end, the Holy Father gave an address followed by the musical performance of the “Pater Noster” by Maestro Arvo Pärt, who played the piano belonging to the Pope emeritus. I am pleased to meet you at this annual event for the award of the prizes to the illustrious figures who have been presented to me by the Joseph Ratzinger – Benedict XVI Vatican Foundation and its Scientific Committee. First of all, I greet the priests, the members, and friends of the Foundation, and I thank Cardinal Kurt Koch and Father Lombardi, who have introduced us to the significance of this key event among your activities, aimed at promoting theological research and cultural engagement animated by faith and the impetus of the soul towards God. I address alongside you an affectionate and intense thought to the Pope emeritus, Benedict. His prayer and his discreet and encouraging presence accompany us on the common path; his work and his teaching continue to be a living and precious heritage for the Church and for our service. That is why I urge your Foundation to continue in its commitment, studying and deepening this heritage while looking ahead, to enhance its fruitfulness both with the exegesis of Joseph Ratzinger’s writings and to continue – according to his spirit – in study and theological and cultural research, also entering the new fields where today’s culture urges faith to dialogue. The human spirit is always in urgent and vital need of this dialogue: it is needed by faith, which becomes abstract if not incarnated in time; and it is needed by reason, which is dehumanized if not elevated to the Transcendent. 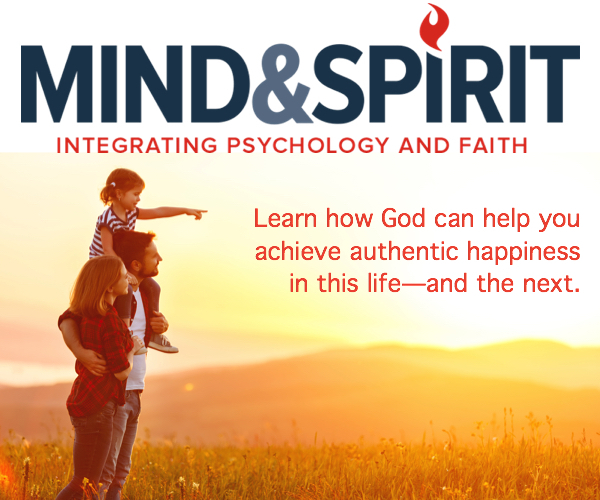 Indeed, “faith and reason” affirmed Saint John Paul II, “are like two wings on which the human spirit rises to the contemplation of truth, faith and reason”, (Encyclical Letter Fides et ratio, Preamble). Joseph Ratzinger continues to be a teacher and a friendly interlocutor for all those who exercise the gift of reason to respond to the human vocation of seeking the truth. When Blessed Paul VI called him to assume the responsibility of archbishop of München und Freising, he chose the motto “Cooperatores veritatis”, “Collaborators of truth”, drawing from the Third Letter of John (v. 8). They well express the full meaning of his work and ministry. This motto is displayed on the diplomas of the Prizes I have awarded, meaning that the Prizewinners too have devoted their lives to the highest mission of serving the truth, the diaconia of truth. I rejoice that the illustrious individuals receiving the Prize today come from three Christian denominations, including the Lutherans, with whom we have experienced particularly important moments of encounter and common progress this year. The truth of Christ is not for soloists, but is symphonic: requires docile collaboration, harmonious sharing. Seeking it, studying it, contemplating it, and translating it into practice together, in charity, draws us strongly to full union between us: Truth thus becomes a living source of ever closer ties of love. I welcomed with joy the idea of broadening the horizon of the Prize to include arts, in addition to the theology and sciences naturally associated with it. It is an extension that corresponds well to the vision of Benedict XVI, who so often spoke to us touchingly of beauty as a privileged way to open ourselves to transcendence and to encounter God. In particular, we have admired his musical sensibility and his personal exercise of this art as a path to serenity and elevation of the spirit. My congratulations, therefore, go to the illustrious prize winners: Professor Theodor Dieter, Professor Karl-Heinz Menke and Maestro Arvo Pärt; and my encouragement to your Foundation and to all its friends, so that we may continue to pursue new and broader ways of collaborating in research, dialogue and knowledge of the truth. A truth that, as Pope Benedict has not tired of reminding us, is together in God, logos and agape, wisdom and love, incarnate in the person of Jesus.